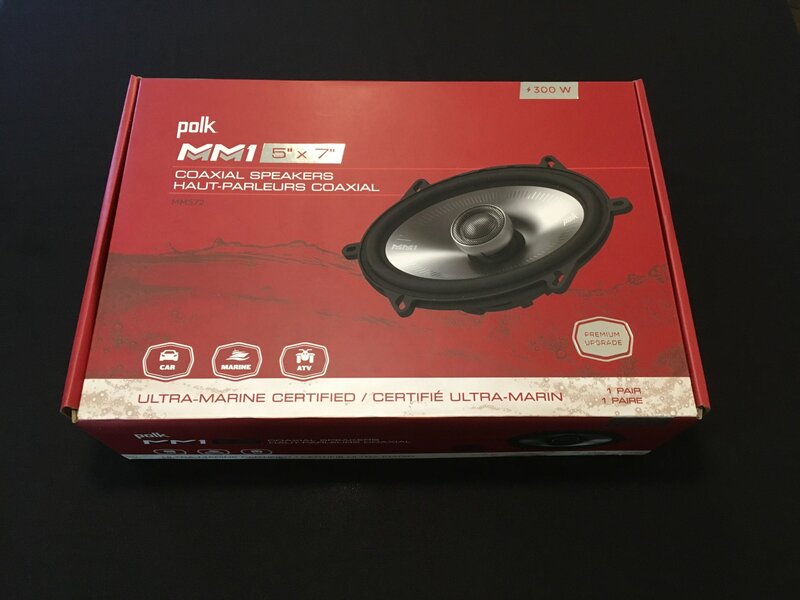 Polk MM572 nice lightweight weather resistant speaker. Fits many speaker lids used on Harley Davidson motorcycle. MM1 series speakers have neodymium magnets and higher power handling. Neodymium magnets are much lighter and very powerful compared to ferrite for size. This is nice in a motorcycle fairing or in speaker lids. Customers often don't think about this before buying. Most people don't like a heavy speaker in their bag lid. Heavy speakers make the lid more difficult to handle, also puts a lot of stress on lid and hardware.